By putting a spotlight on businesses that are focused on delivering great service to customers, TripAdvisor not only helps drive an improvement to hospitality standards around the world, but also gives businesses both large and small the ability to shine and stand out from the competition. Dine are extremely pleased to announce that The Mansion’s Garden Room Restaurant & Cafe has been awarded the coveted TripAdvisor Certificate of Excellence for 2015. Following the restaurant’s success in 2014 and our refurbishment and re-launch in January of this year, we are proud to see our efforts to provide impeccable service and incredible food recognised by our customers. 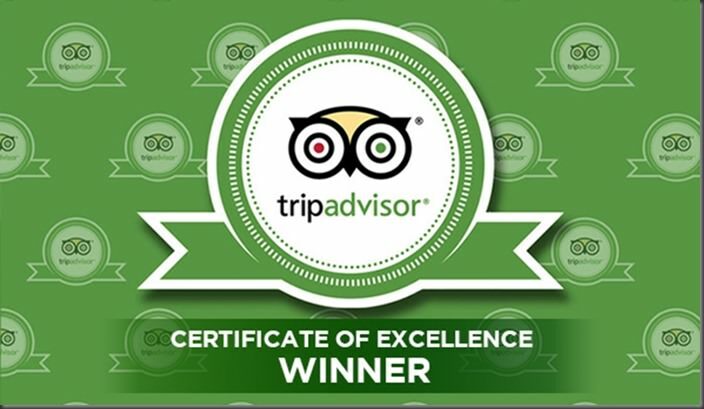 The prestigious Certificate of Excellence award recognises establishments that consistently earn great TripAdvisor reviews from customers, and we are thrilled to receive such excellent feedback from our visitors. Visit our website to book your table at The Mansion Garden Room Restaurant or view our events calendar.